I’ve never tasted South Africa food before so I was looking forward to getting stuck in. South Africa is one of the top tourist destinations on the African continent so they must make good food right? 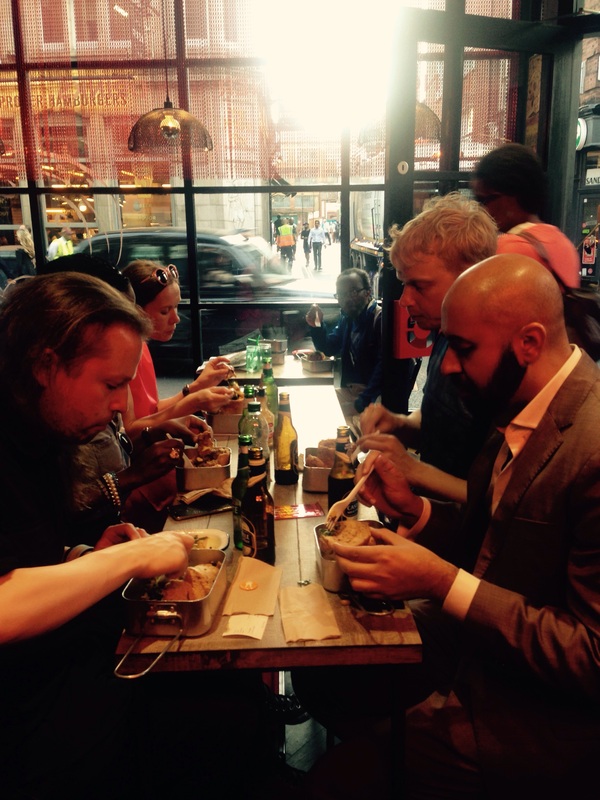 Our dinner club arrived at the Bunny Chow in Covent Garden at 6:30pm. We had the best seats in the house and managed to fit all 9 of us, right in the middle of the fast food restaurant where we had a perfect view of the hussle and bussle on Wardour Street. 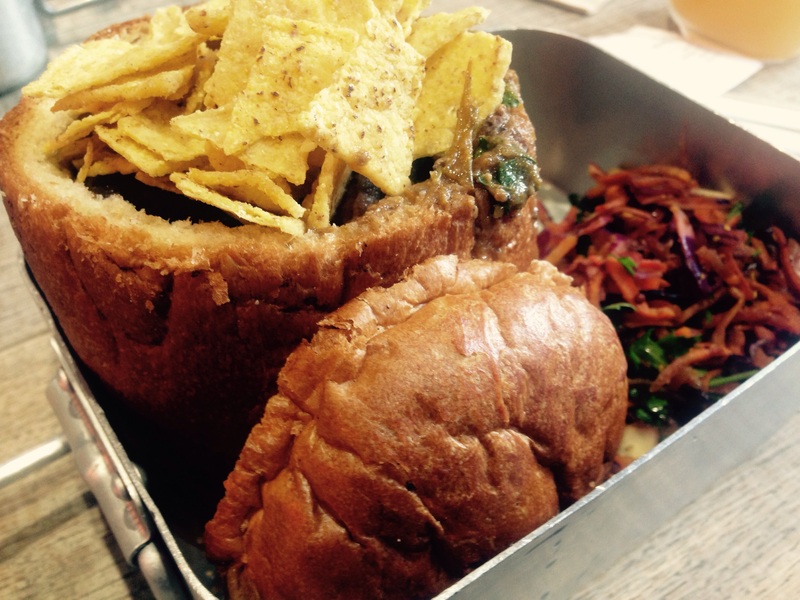 Bunny Chow (or just Bunny) is a type of street food created in Durban, South Africa. It is a hollow loaf of bread filled with curry. As most fast food restaurants, the food was easy to order and quick to deliver. You firstly choose the type of bread you want then the filling and garnish. I ordered Brioche (as I have a sweet tooth), Durban filling (South African mutton curry) and a nacho crunch garnish, which is quite a weird topping but I thought, why not? Don’t be fooled by the size of the Bunny, as although it looks small there is a generous amount of filling inside the bread. 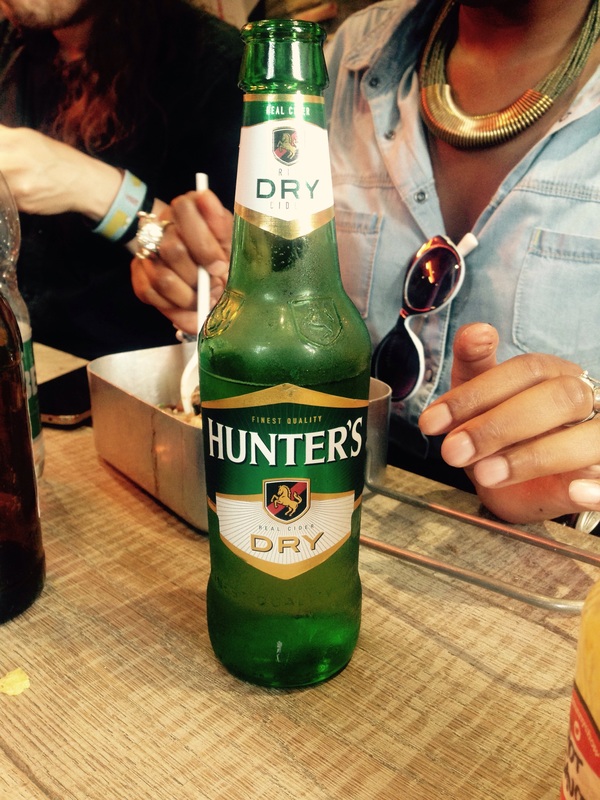 And to wash down your meal, there was a nice selection of South African beers and the usual soft drinks. We were fortunate to have a South African member of the club join us to let us know whether it tasted like an authentic Bunny and her verdict was that it was very close. Want to join us on our next dinner date? Sign up to our group here.